You want to change the world. Brilliant! And we want to help you. That’s why we’re giving you three essential books to help you grow in your faith because changing the outside world starts by changing your inside world. It’s about Jesus working in and through you. Whether you’re new to Jesus or have been following him a while, these books from WAVES pioneer, Timothy Eldred, will help you grow in your faith. Start with Begin21. Move to Pray21. End with Tell21. It’s an easy-to-use growth system. Let’s do this! 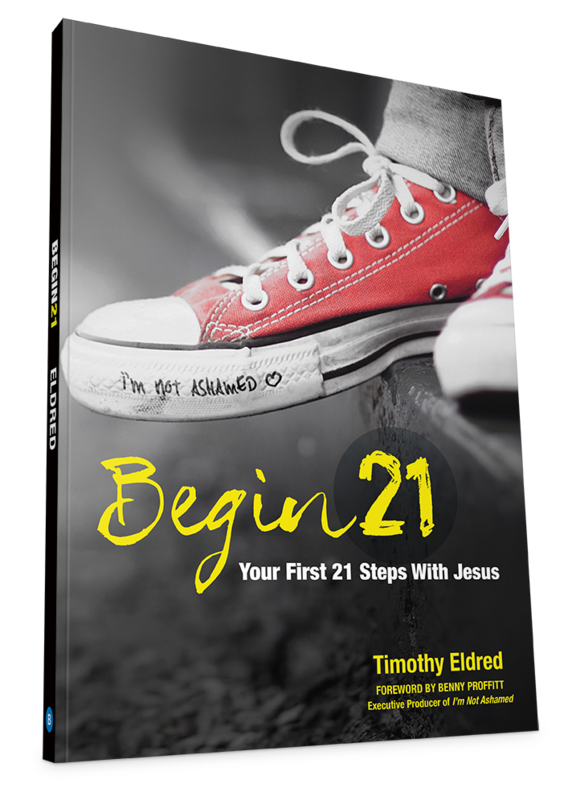 Begin21 provides new believers in Jesus with directions to embark on their new faith journey. This book will help you develop five, healthy habits to create a lifestyle that lasts a lifetime. Also included are questions for reflection, challenges for action, and thoughts to explore with a mentor or trusted friend. This three-week experience will bring you and a spiritual mentor of your choice into a 21-day prayer partnership that will change your life. You’ll read about people in the Bible who are just like you… Asking questions. Avoiding questions. People in discovery. Getting beyond just getting by. Pray21will open doors for your journey of discovery. Tell21 takes the fear out of telling others about Jesus. It makes sharing your faith simply about sharing the story of how Christ has become the hero of your heart and the Lord of your life. This three-week experience will give you confidence in your Christian life. You’ll discover your place in God’s plot, and see your significance in his bigger plan.